LONDON, May 17, 2018 — According to the latest figures published by International Data Corporation (IDC), the overall tablet market for Western Europe declined 8.1% YoY, shipping 6.6 million units in the first quarter of 2018 (2018Q1), as the tablet market continues to exhibit a bleak outlook for the region. Increasingly long life-cycles, combined with a near-saturated installed base led to a poor consumer performance across both product categories, bringing an overall decline of 8.8% YoY for the segment. There was still one ray of optimism this quarter, as certain OEMs continued to leverage the mobility advantages of a removable keyboard within a business setting, leading to 0.5% growth YoY for detachables in commercial. "Despite the slowdown in detachables, they remained positive in the commercial segment, aided by the performance of the iPad Pro," said Dennis Pedersen, research analyst, IDC Western European Personal Computing Devices. "The increasing push of tablets with keyboard capabilities by Apple has met with success among professionals with higher mobility needs; and their enhanced features in terms of battery life, display, and optional connectivity have facilitated their use case as notebook replacements." Their commercial growth this quarter does not mask the fact that detachable volumes are showing strong signs of heading towards a downward trajectory. Important OEMs are increasingly focusing on profitability, showing concern for value over volume. Concurrently, there is growing demand for convertible PCs, which are analogous in use case but seem to be gaining more traction within enterprises, resulting in a cannibalization effect for detachable sales. Samsung ranked first with 25.1% market share, but decreasing 13.1% YoY. Strategic direction still appears to be pointing towards profit over volume, as Samsung experienced another strong performance from its premium android range. Apple ranked second, recording a market share of 24.4%, and increasing by 3.5% YoY. Its iPad Pro products continue to dominate the detachable market in both commercial and consumer segments, aiding in the company's annual growth. Lenovo ranked third with a market share of 7.8%, while declining 8.8% YoY. Ongoing expansions in its Windows Detachable portfolio are being well received in the market, leading to a solid overall detachable performance. Huawei ranked fourth with 6.5% market share, aided by a very strong growth of 56.6% YoY, as it continues to increase its footprint across Western Europe in all smart connected devices. Large tablet volumes were achieved by occupying the space in the low–midrange left by vendors such as Acer and ASUS. Amazon ranked fifth with 5.0% market share, growing an impressive 41.5% YoY. A focus on enhancing the Alexa platform, including the announcement of Alexa hands-free mode becoming available for the smaller-screened tablets, led to strong sales. Note: Tablets are portable, battery-powered computing devices inclusive of both slate and detachable form factors. Tablets may use LCD or OLED displays (epaper-based ereaders are not included here). Tablets are both slate and detachable keyboard form factor devices with color displays equal to or larger than 7.0in. and smaller than 16.0in. 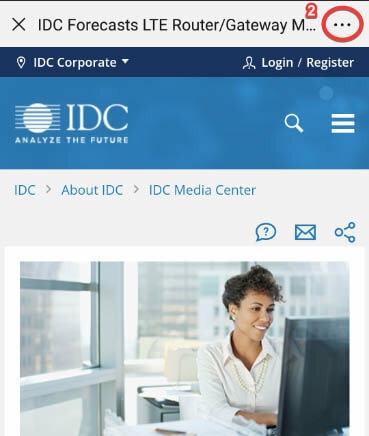 IDC's Quarterly PCD Tracker provides unmatched market coverage and forecasts for the entire device space, covering PCs and tablets, in more than 80 countries — providing fast, essential, and comprehensive market information across the entire personal computing device market. For more information on IDC's EMEA Quarterly Personal Computing Device Tracker or other IDC research services, please contact Vice President Karine Paoli on +44 (0) 20 8987 7218 or at kpaoli@idc.com. 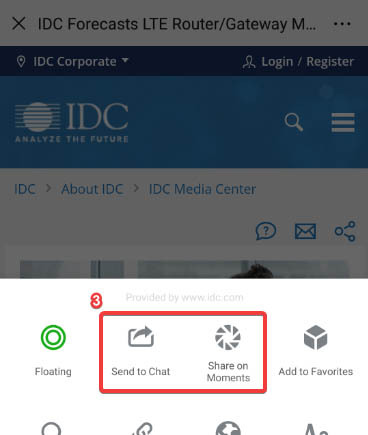 Alternatively, contact your local IDC office or visit www.idc.com.